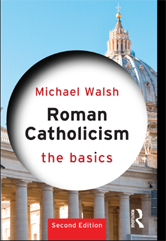 From the most basic terms to the structures and practices of the Church, this book offers a plain-speaking introduction to Roman Catholicism. Now in a second edition, it contains new sections on relations with other faiths, coverage of recent controversies in the Church and an expanded section on social teaching. 2 What do Catholics believe?